Have you ever found yourself waiting for your computer to finish a process so you could shut it down? Or do you find yourself leaving your computer on all the time, even though you know a healthy system needs to be restarted periodically? 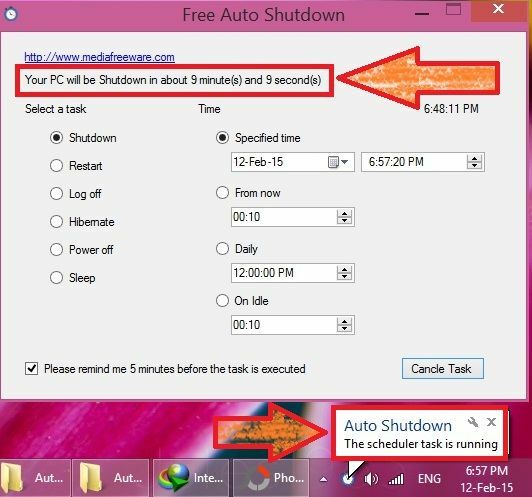 Auto Shutdown is a simple utility that allows users to schedule times for their computers to shut down or restart automatically. It's nothing fancy, but it's easy to use, and the scheduling is surprisingly customizable. The program's interface is quite plain and intuitive, with a couple of tabs containing drop-down menus. Users simply select the action they want to the program to take--turn off, restart, or standby--and then choose when they want it to happen. The program has several options for scheduling; it can be set to take the selected action in a certain number of minutes, on a certain day (or days) of the week, or on a specific date. When choosing a day of the week or specific date, users can set the time down to the minute. 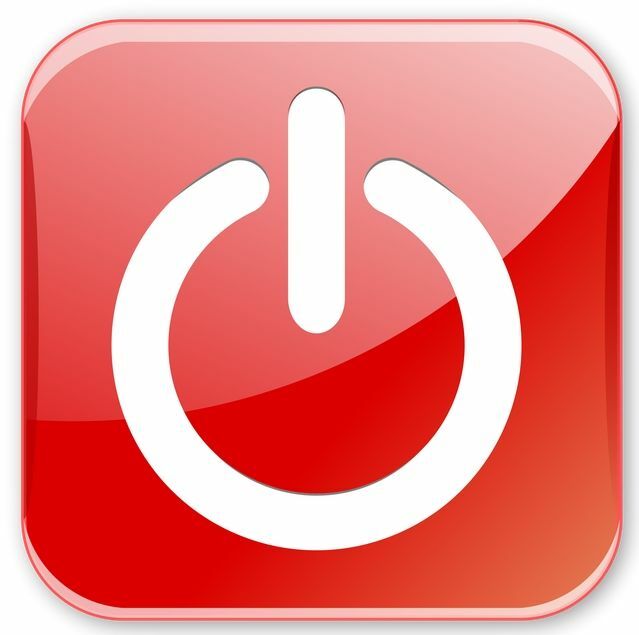 Auto Shutdown also allows users to set keyboard shortcuts for shut down, restart, standby, hibernate, and log off. The program has no Help file, but it's pretty easy to figure out, and we have trouble imagining anything that a user might have a question about. 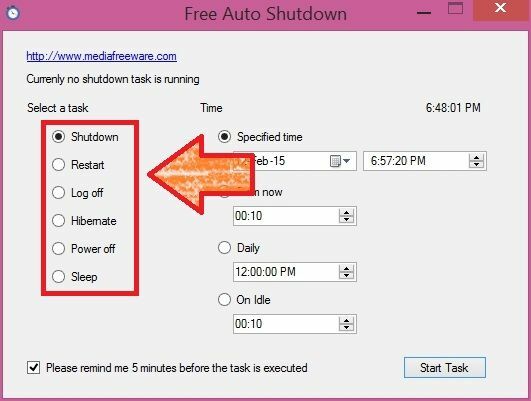 Overall, although there's nothing about Auto Shutdown that particularly impressed us, we think it's a great option if you need a simple way to schedule your computer to shut down or restart. 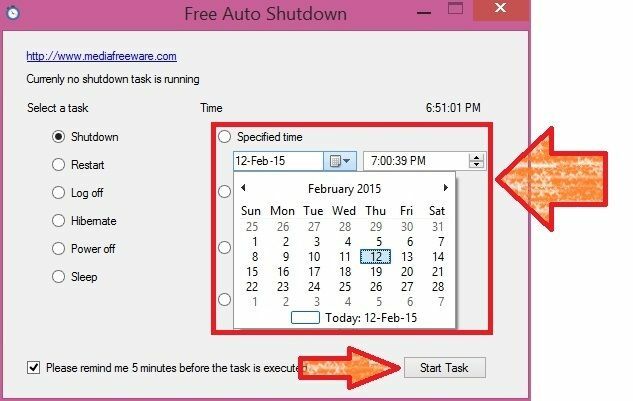 When your task is activated; you can see the status on the top of Free Auto Shutdown. Free Auto Shutdown works in the background as well; as a tray icon is show. 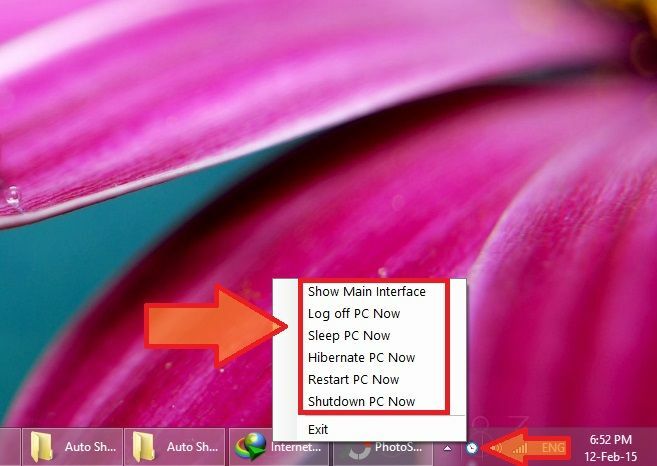 You can also activate your schedule for Shutdown/Restart from tray icon.